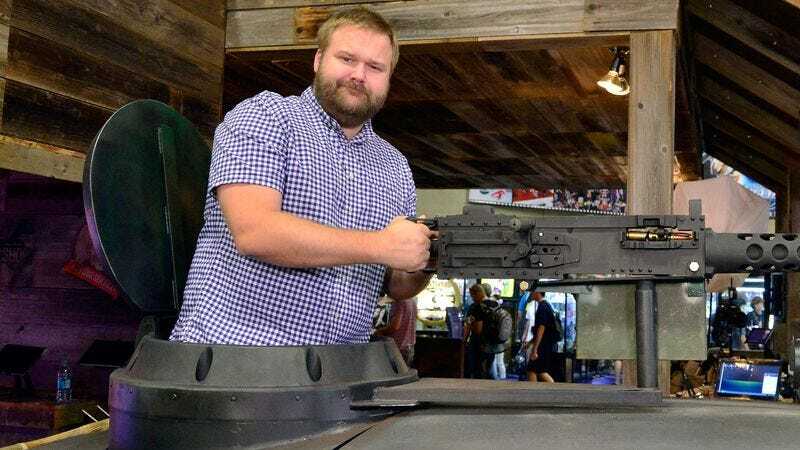 Kirkman said he could have ended the series earlier, but decided not to because “I had all kinds of cool stuff I wanted to do.” He adds that the ending itself is top secret, and he hasn’t told anyone what it is or written it down anywhere, lest anyone get any ideas. He declined to give an exact end date, but says that “to be able to top yourself, and keep things fresh, and keep things interesting… It gets harder and harder and harder as you go,” so he’ll presumably be building towards it imminently. As for the TV version of The Walking Dead, it’s still a ratings winner for AMC, so expect that iteration of the story to keep dragging around its rotted corpse in search of humans to feast upon for a while longer yet. UPDATE: An earlier version of this article stated that Kirkman was planning to end the comic-book series; it has been edited to reflect the noncommittal nature of Kirkman’s comments.